If you are looking for colleges in Kolkata to pursue BCA then you can find a number of private BCA colleges with quality education and infrastructure. BCA course is one of the most popular options students can choose to build a successful career in Information Technology. Here is a list of top 10 BCA colleges in Kolkata that one can choose from to do BCA. 1. University of Engineering and Management (UEM): University of Engineering and Management (UEM) is one of the top private BCA colleges that provides it, students, an international ambiance and exposure with innovative teaching methodologies and courses. It provides 3 year BCA course facilitating students to learn database management systems, operating systems, software engineering, computer architecture, web technology and languages such as C, C++, HTML, Java etc. The course will further add value to their qualification degree making them job ready. 2. Annex College of Management Studies (ACMS): Providing quality management and IT education, the college offers BCA programmes that focus on industry needs. It offers a perfect study environment allowing students to learn the professional competence required in IT industry. ACMS with its BCA programme makes industry-ready IT professionals, technocrats, entrepreneurs and business leaders. 3. Institute of Management Study (IMS): Started in 2006, it is one of the new age B-Schools providing various professional courses to the aspirants. You can opt for this institute as its main objective is to provide Undergraduates as well as Postgraduate programmes in Management and Computer Application. 4. Techno India University (TIU): It is one of the best private BCA colleges that offer highest quality education, state-of-the-art infrastructure and many other facilities to the students. The institute with its BCA programmes, helps the students to be capable of meeting and successfully overcoming the challenges of the job market and contribute to global IT industry. 5. 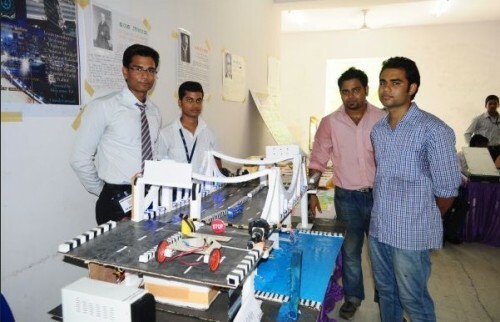 BP Poddar Institute of Management and Technology: It provides a technologically dynamic environment where students are trained to face challenges that don’t just test their knowledge but also their leadership skills. It provides a holistic and exciting learning environment that further helps students to build their confidence and communication skills. 6. Pailan College of Management and Technology (PCMT): Established under the Pailan Group of Institutions Kolkata, Pailan College of Management and Technology (PCMT), provides technical education to meet the manpower training and knowledge upgradation requirements of the industry. It provides BCA programme including workshops and classroom interaction and prepares students for the global professional market. 7. George College: The institute was established to provide job-oriented training, tailored to the requirements of the industry. The BCA courses help the students to acquire knowledge and skills and develop their theoretical understanding and practical skills. 8. Gurukul Management Studies (GMS): Gurukul Management Studies was established in 2004. Affiliated to the West Bengal University of Technology, GMS offers various professional courses including BCA. It provides awesome campus facilities such as Lab, Academic Zone, A/C, AV Lab, Canteen, Computer Lab etc. 9. Narula Institute of Technology (NIT): It is yet another top private BCA college that provides technical education imparted by experienced faculty members. The institute provides a brilliant platform for pursuing higher studies in various professional courses. 10. Meghnad Saha Institute of Technology (MSIT): Catering to the quest of curious thinkers, the institute is a home to rich academic experience. Offering professional courses like BCA, it produces skilled IT professionals of world-class competency. So, choose from any of these top 10 private BCA colleges in Kolkata for studies this year and come out as industry ready professionals.